Dozens of bodies showing visible signs of torture were found in Damascus, activists have claimed. In a separate incident, a video emerged online Tuesday showing the corpses of three young men with blood on their faces and their hands bound. ­"Thirty bodies were found in the Barzeh district. They bore signs of torture and have so far not been identified," the UK-based Syrian Observatory for Human Rights said on Tuesday. Another activist group, the Syrian Revolution General Commission, put the death toll at 50 bodies, and said that the victims’ heads were “cut and disfigured to the point that it was no longer possible to identify” them. Neither of the reports was independently verified. On Tuesday, activists uploaded a video showing three dead young men (warning: graphic footage). The bodies were covered with blood and their hands were bound behind their backs. Activists claimed that the young men in the video were kidnapped on Sunday at a checkpoint as they were returning from school. 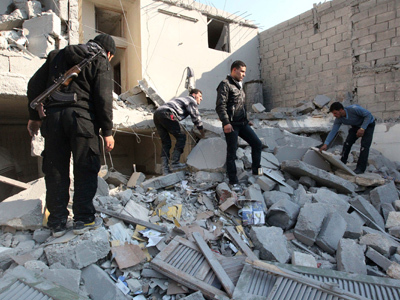 The bodies were allegedly discovered in the Damascus neighborhood of Jubar the next day. The State news agency SANA also reported that armed extremists opened mortar fire on the Christian quarters of the city of Aleppo. One of the shells targeted the school building where refugees were taking shelter According to preliminary reports, several people were injured and taken to hospital. 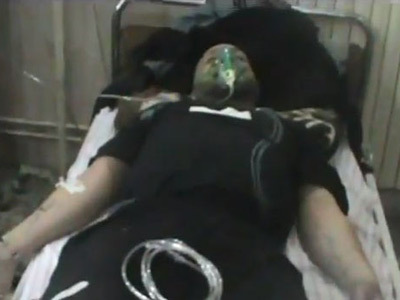 The last day of 2012 was also marked by an assault on a foreign journalist in Syria. On Monday, a Libyan citizen working as part of a Reuters reporting team was shot in the leg during frontline filming in the northern Syrian city of Aleppo on Monday. The man was hit by a rifle bullet fired from a distance; it was unclear who fired at him. 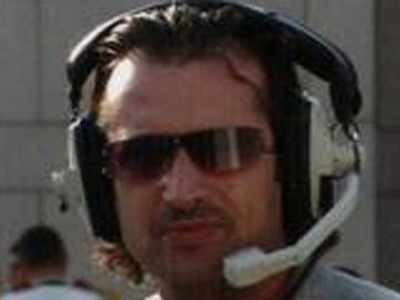 The cameraman was treated in Syria and then transported into Turkey, and is reportedly in stable condition. The closing days of 2012 saw a sudden upsurge of violence in the war-torn country. Activists claimed that some 400 people were killed in Syria on December 29 alone, including 200 people allegedly executed by government forces near Homs. The mass execution event and the death toll were not independently verified. State media has circulated images of the bodies of those killed and weapons reportedly seized from the dead. A report claimed that the military seized 15 to 50 kilograms of explosives and killed several militants, some of whom managed to escape. In northern Syria, the international airport in Aleppo, the country’s second-largest city, was closed as fighting near the airstrip continued on Monday. Anti-Assad forces have warned they plan to target civilian as well as military planes, claiming the government uses civilian planes to bring in weapons. “There have been continued attempts by opposition militants to target civilian aircraft, which could cause a humanitarian disaster,” AFP reported, citing an anonymous airport official. Damascus had no comment on the closing of the airport. The previous day, Syrian media reported that authorities had arrested four Turkish pilots who were trying to access a military airport in Aleppo. Turkish authorities denied the allegations, AFP reported. The rebels have also been raiding three other airports in the Aleppo area, including a military helicopter base near the Turkish border. Dozens of videos have appeared online showing fighters shooting mortars, rockets and sniper rifles at targets inside the bases. Syrian government forces have battled militant groups outside of Damascus, killing and wounding dozens of rebels, Itar-Tass reported, citing a Syrian radio station. Daraya has also witnessed more fighting over the New Year, with explosions echoing across Damascus. Daraya, southwest of the capital, lies on the intersection of two vital neighborhoods that house the air base and government headquarters. The Observatory on Human Rights said that Syrian warplanes took part in bombing Daraya while state-run news agency SANA reported that "tens of terrorists" were killed by government troops in Daraya. 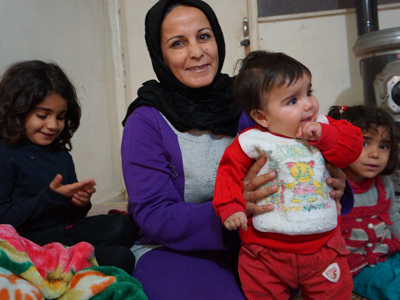 Activists have estimated that 45,000 people died during the 21-month-long unrest continuing to grip Syria. However, the UN has estimated the death toll to be around 20,000 as of late November. On Monday, Syrian Prime Minister Wael Halaqi said that Damascus is prepared to consider any peace initiative offered by the international community, provided it is based on dialogue and peacekeeping measures and also prevents foreign interference into Syria’s internal affairs. 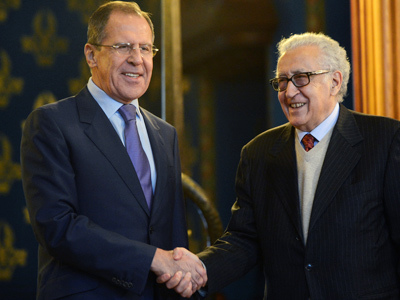 The announcement came two days after Russian Foreign Minister Sergey Lavrov met with UN-Arab League peace envoy Lakhdar Brahimi to discuss the Syrian crisis. The diplomats agreed that any peace plan must follow the guidelines of the Geneva communiqué, which calls for an end to the violence and inclusive political dialogue. Regime change will not necessarily solve the conflict, Brahimi said. 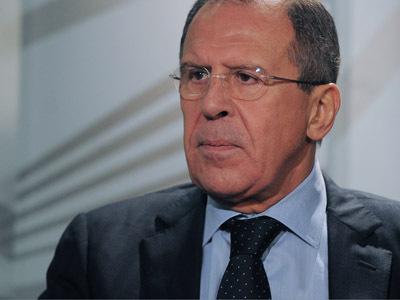 Russia has maintained that the Syrian people must ultimately decide who should rule the country. Many Western nations have repeatedly called for President Bashar Assad to step down and actively backed the opposition.